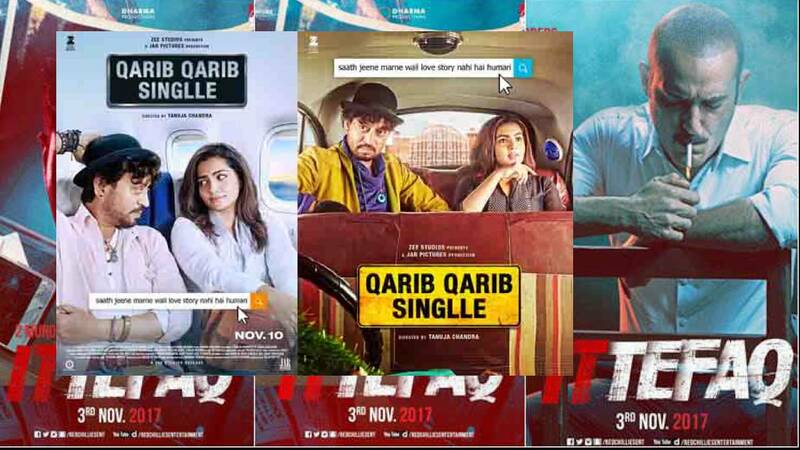 Last weekend I watched two Hindi movies “Qarib Qarib Singlle” and Ittefaq. One is a Romantic Comedy Road Drama and the other a Whodunnit? Thriller. Ittefaq (coincidence) inspired by the 1969 film by the same name stars Sidharth Malhotra, Akshaye Khanna and Sonakshi Sinha in lead roles. I like Akshaye and he has been selective in his roles and has an intensity that a character actor needs. I also like Sidharth as I often compare him with Varun Dhawan, may be because they both debuted in Student of the Year. For some reason I feel they both have some similar looks, I liked Sidharth for his performances in both Ek tha Villian and Kapoor and Sons. So there was enough reasons to hit the theatre. Sonakshi, honestly is not in my opinion a very talented actress, or may be she has been too much type casted and need to look at more better roles. She did not surprise me in the movie either. The film is a good Thriller, nothing that great, but I love watching Akshaye and he his measured delivery and performance gives the movie an artistic touch. Qarib Qarib Single (Almost Single) I had initially passed as I did not know who was in it, but then seeing Irrfan I did not need another reason. And it was quite a surprise to see Malayalam actress Parvathy in the lead opposite Irrfan. A feel good road movie to give an exactly different flavor that Ittefaq. It is all about middle aged love, and mind you; middle age in India can be in the thirties. But you can watch and connect in your 40s and 50s. New loves and about old flings and how as life flows in time some people carry the old moments with them while some move on. That subtle elements of memory which enter into new settings with new people. Sometimes things come to an end only when you encounter the moments and put a final close to the torments. Films always romanticize that union between made for each other couples and mostly it is in films, in real life there is reality that rattles reel life. Either way its nice to see on screen. Both Irrfan and Parvathy do a great job irrespective of the age difference between them. May be that is also a point in the film. No where does it say what Irrfan’s age is. The makers keep that hidden for the interpretation of the audience. It is all above taking life the way you want to drive it, giving life to chance so it can flow into new avenues….